Kodak Black Drags Tiny’s Looks In T.I. Diss Track "Expeditiously"
The online war between T.I. and Kodak Black wages on. The Pompano Beach-bred rapper dropped a full diss track aimed at the Hustle Gang boss on Monday night (April 15) titled “Expeditiously.” Throughout the song, he tears into Tip and his wife Tameka “Tiny” Harris. Last week, Tip called out Kodak for the disrespectful comments he made about Nipsey Hussle’s girlfriend and mother his child Lauren London. But the Project Baby architect claims Tip never knew the slain rapper. Elsewhere in the song, Kodak seems to fire a shot at The Game who has been emotionally distraught in the wake Nipsey’s death. “On the news he TIP me, that boy got no feelings/Suwoop put the pole on lil’ buddy, they said the Game strippin’/Old heads ain’t hittin’ on nun, I say them boys kiddin’/I want all the smoke out the stove but I don’t even roll Phillies/How the hell you callin’ me out when you know I don’t listen,” he spits. The cut comes after T.I. 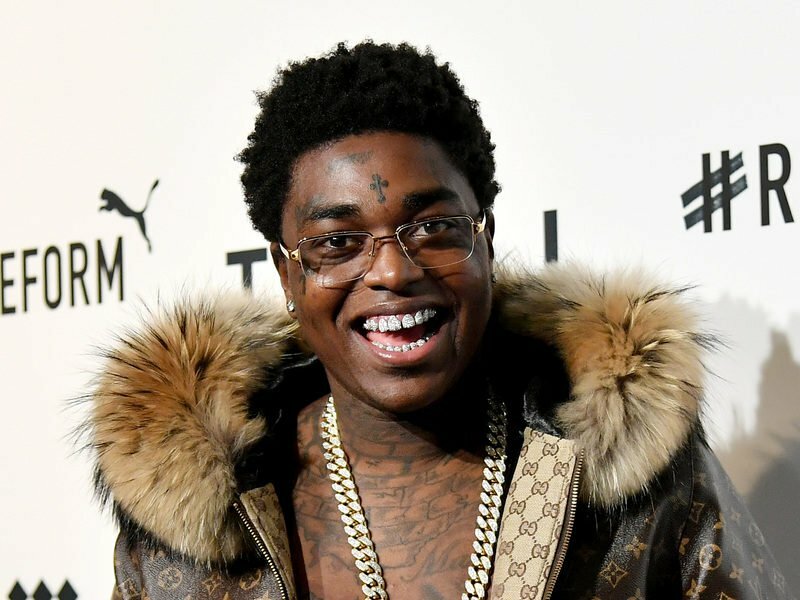 not only removed an art installation dedicated to Kodak from the Trap Music Museum but also teased a diss track his own. “I’m conditioned to see the vision, you/ I don’t care if you eight or under twenty-two/ All that back and forth, what you trying to get into?/ I said what I said and I meant it to,” Tip rapped. Once Kodak caught wind it, he insulted Tip’s family on social media as well. Check out “Expeditiously” above, Tip’s snippet below and the lyrics here.